FC Barcelona, Barca Innovation Hub and Allianz SE are partnered with Hexoskin wearable body metric system to conduct their first project designed for the health and wellness space, in particular, using a smart garment to study sleep. It is believed to be the first-of-its-kind in the world. The goal is to measure sleep quality and uncover ties to physical performance and sports performances. The Sports Techie community blog chatted and caught up with Pierre-Alexandre Fourier, Co-founder and CEO at Hexoskin, about conducting research on sleep and specifically young athletes with the goal of optimizing their overall health and gameplay using proprietary smart technology clothing. Hexoskin is a Health Technology Company located in Montreal, Canada focused on smart clothing and the use of AI and analytics. The final member of the project team is Adsalutem Institute, they are based in Catalan and considered sleep medicine experts. Once findings are uncovered, the “sleep dream team” will share the results with the scientific community and general public at large in hopes of helping as many people as possible have better sleep. 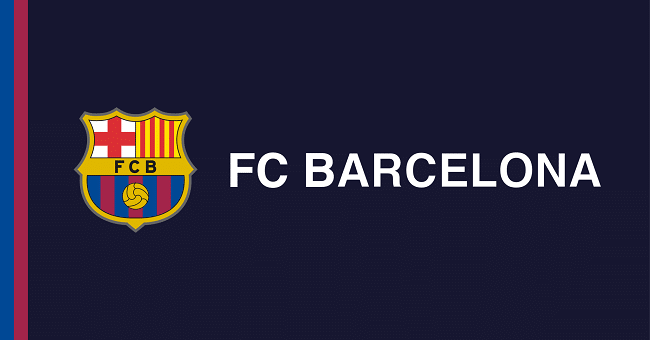 Barcelona’s La Masia Youth Academy will use Hexoskin to monitor sleep in a natural environment at the football training facilities, at home or in clinical settings. Hexoskin is also working with NASA and the Canadian Space Agency to discover more about sleeping in space. Hexoksin’s sports tech is the glue of this project’s first holistic health effort to discover more about sleep and how it pertains to performance in order to better the world together with their partners, Barca, Allianz and the Adsalutem Institute. Hexoskin is a sleep tracking device designed to measure resting heart rate, breathing, and sleep positions. Sensors are woven into a shirt measuring heart rate, breathing, steps, pace and calories. Biometric data is tracked and analyzed providing one-of-a-kind insights on wellness and sleep. Hexoskin offers solutions to synchronize the data recorded with Hexoskin to obtain your complete sleep report on the Hexoskin Online Dashboard. The same data is also on the Hexoskin Mobile App. Machine washable, high-performance Italian fabric. Quick dry, breathable, lightweight, anti-odor, chlorine resistant, UV protection. FC Barcelona and Allianz, Official Insurance of FC Barcelona, will lead this investigation alongside Hexoskin, a Canadian startup specializing in cutting-edge smart technology clothing, and the Adsalutem Institute. The first project out of this collaboration will involve Barça athletes, in order to extrapolate the research conclusions for the general public. The more than half a year study involves 600 young athletes pulled from different Club units in order for Hexoskin to collect quantitative sleep data. Youth aged 11-12 up to 17 years of age and some younger than 11-years old are taking part. A more intense study is also set for 50 participants. “The major difference is these 50 will undergo monitoring with more in-depth analysis using equipment like Polysomnography machines in order to make sure they measure the right things with the shirts,” said Fourier. After sleeping in a clinical setting, the participants will go back to the Academy for the rest of the days scheduled activities all the while keeping track of a variety of metrics using the smart shirt with the major goal to ensure measurements are validated in sleep lab. Clinical research, sleep analysis algorithm development and physiological data will be combined with documented personalized studies and records in order to measure if any links to sleep and its probable impact on sport play and overall health, exist or not. Adsalutem Institute’s work thesis, is based on the conviction that improving sleep will improve the overall well being of athletes and their performance on the pitch. Their sleep scientists and medical team are on site to work with the technologies as a tech provider. Hexoskin was founded in 2006, began studying sleep in 2012 and now have a team of 30 managing business relations in 30 countries and growing. The agreement between Barça and Allianz took place with Josep Maria Bartomeu, president of FC Barcelona, Jean-Marc Pailhol, head of global market management and distribution of Allianz SE and Jose Ferre, CEO of Allianz Seguros in Spain. Hexoskin launched Astronaut Health Monitoring System to the International Space Station in January, 2018. 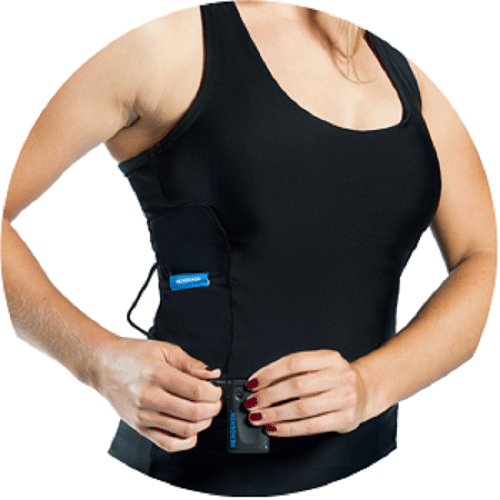 This smart loading garment known as the Astroskin, has even more sensors than what the kids and teens are using in their sleep study. Over the next 5 years, Hexoskin will monitor physiology and sleep together with the Canadian Space Agency and NASA. Sports Techie BIHUB and Allianz aligned themselves to promote a study on sleep using technology benefiting elite athletes, the sick, and everyone else in-between, while improving both sport and physical performance. The Innovation Hub is in place to adopt new technology and Hexoskin fits the bill on this first project. When you have an insurance company around the world with 250 million global customers asking one of the world’s premier football clubs to partner in a sleep study conducted with cutting edge wearable tech that measures sleep and performance, everyone wins. La Masia is such a cutting edge and sports technology-centric football academy I now have it on my bucket list. Fourier shared, “It is a huge sports department, over 100 scientists working with academy with incredible track record.” Their leading sports medicine lab is also part of the project. Leo Messi and other Barca superstars and teammates were discovered, trained and promoted out of La Masia to La Liga, Champions League and World Cup matches. Fourier is an entrepreneur, designer and scientist all rolled into one. He has his team building AI for different needs like cardio risk or chronic disease. Their wearable health sensors are being used by research groups, hospitals and outer space. His company also worked on helping understand jetlag for you frequent flyers and international travelers. Fourier’s goal to automate data collection and processing of data to make more useful for everyone, person and professionals working with them, is definitively working. Bravo to the study for learning more about how sleep affects performance. A kids sleep schedule can be irregular as many of you fellow parents and coaches know. Adults are no exception. Understanding sleep better is a societal must. The sleep experience of Barca athletes via Hexoskin as part of a smart tissue R&D project is so sports techie, bravo to all involved! Goodnight or good day depending where you live on Earth, if you are an astronaut reading this blog on-board the ISS, go to sleep. Thank you to Hexoskin, FC Barcelona and Allianz for sharing this story with the Sports Techie community blog. See ya later sportstechie in Seattle, Atlanta and around the world!